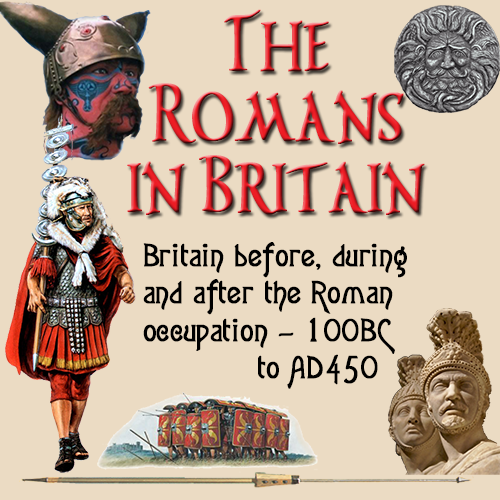 The Roman soldier had three main weapons: his sword, his pilum (javelin) and his shield. Click HERE to visit our page on the scutum. This was 18 inches long, 2 inches wide and narrowed towards the centre. It had a bone handle shaped to the soldeir's hand and a large a alrge round ball at the end to help with the balance.. It was not designed for hacking, more for thrusting forward ito the enemy's body. It was very light and so meant that it could be uesed in a very fast manner when stabbing at opponenets. Click HERE to visit our page on the gladius. The pilum was up to seven feet long with a a tip of hardend metal shapped like an elongated pyramid .The shank was made of softer metal fitted into a socket at the lower end. No, contrary to legend and reenactor myth, you cannot carry two pila into battle. Try carrying 2 of them sometime — the handle of the Roman scutum is horizontal.. the only way would be to hold a second pilum with one's thumb — a painful and totally unwieldy method. Sometimes it helps to actually DO things, vs. just being an arm-chair historian.